The Studio initially designed and built a custom website for Laban Ministries almost a decade ago. This original site was more traditional in layout, style, and design. Since then, the organization has grown and evolved a lot, leading to a complete redesign of the website and a shift in the focus and layout of content. 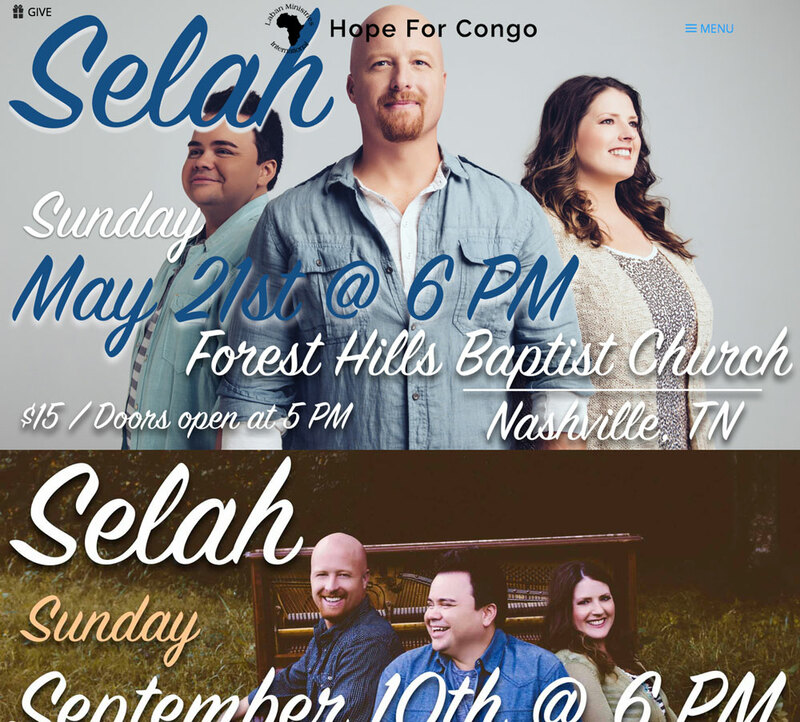 Laban Ministries shifted to a new more recognizable domain, HopeForCongo.com. This bold and inspiring new domain needed an equally bold and unique appeal to match the organizations shifting priorities, systems, target audience, and efforts. 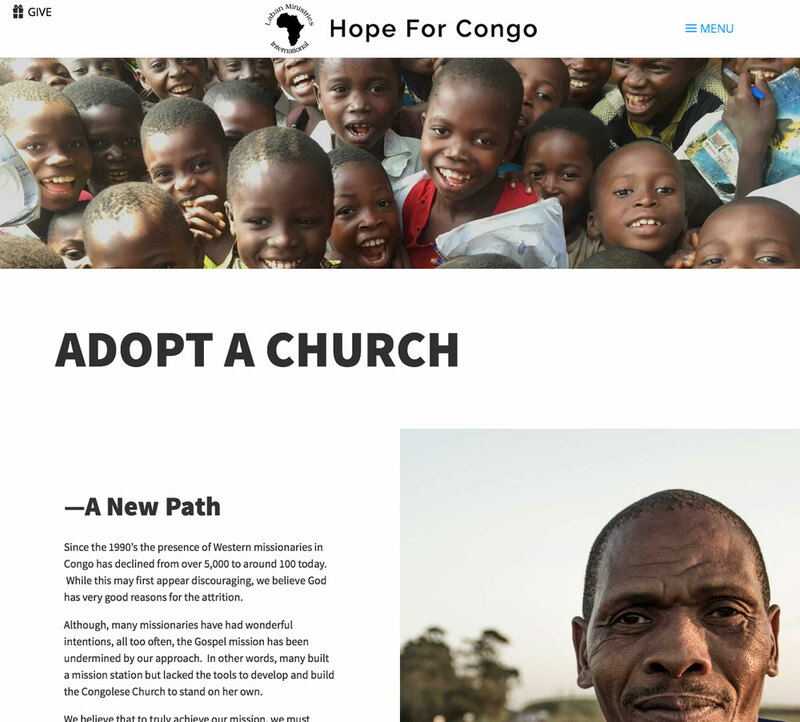 While keeping their original organizational name, Laban Ministries, the new domain, HopeForCongo.com made it a lot easier to share and remember the website. The home page is a bold statement of large banners, each with a message leading to a page or event. A slide out menu also contains the main nav to this site. With a new shift in focus and strategy, Laban required a more robust ecommerce system to handle specialized donations, events, ticket sales, and concert/event check-in. The studio partnered with Laban Ministries to carefully craft a system with all the functionality and automation they needed to run as efficiently as possible. Utilizing cutting edge plugins, The Studio was able to deliver a comprehensive ticketing side to their ecommerce system, enabling them to not only sell tickets online, but also check guests in at events with a slick mobile app.